February is the shortest month of the year, but in Minnesota, it often feels like the longest. Many people improve the experience of its twenty-eight days by celebrating love and romance. Often the secret to enduring love, and winter, is laughter. Here are two novels that offer just that. In 2015, Minnesota novelist Julie Schumacher won the Thurber Prize for American Humor for her epistolary novel, Dear Committee Members, the first woman to do so. Professor Jason T. Fitger of Payne University is the letter and email writer at the center of this sidesplitting work. 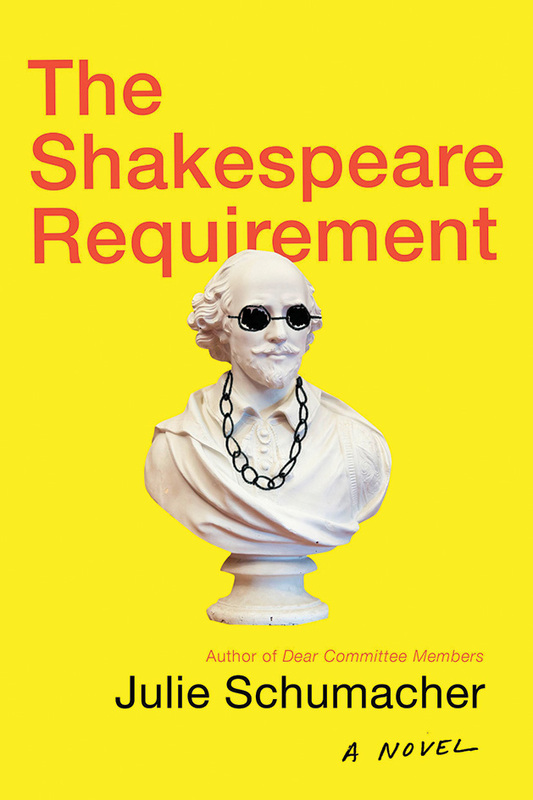 In The Shakespeare Requirement, Schumacher revisits Jay Fitger, who is now chair of the English Department. Fitger battles with the Economics Department over office space while stumbling into a departmental skirmish over the Shakespeare requirement. Readers will laugh their way through these books and come out loving Jay Fitger.